One often overlooked aspect of digital photography is the filter on the end of your lens. It is common practice for may SLR photographers to keep a UV/Haze or Protective filter on the end lenses and as more and more switch to digital, little thought is given to that age old practice. In principle the practice is a good one. Especially when the better lenses cost in excess of $1000USD. Adding another 5-10% onto the cost of that lens to protect against scratches, dust, sand and salt spray is a wise investment. 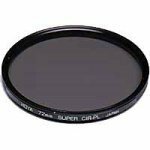 But before you purchase a lens filter there are a few important distinctions to look for. First, as with most things involving camera lenses, buy the best glass you can afford. Buying a cheap UV/Haze or Protection filter will result in cheaper images. In the case of a good UV/Haze filter, saving for an extra month can really make a difference as the next item points out. Second, purchase a multicoated filter designed for digital cameras. While some companies just slap a “Digital” tag on their old stock, reputable companies have actually invested time and money to make the lenses work better with digital cameras. The biggest difference between film and digital, as far as the filter is concerned, is reflection. Because a digital sensors actually reflects more light than plain old film, a non-coated filter can cause a flaring effect on the image. An effect that goes slightly unnoticeable under most circumstances, but when lighting gets harsh, having a multicoated lens designed to reduce this extra reflection from inside the camera is worth its financial cost. There have been more than a few tests posted on the internet showing the difference in coated vs. non-coated lens filters as well as the quality of different manufacturers. Lastly, protect the filter that protects your lens. Just because there is a protective filter on the end of your lens does not mean it’s a good idea to be abusive to the filter itself. It should still be cleaned and dusted as if it were your primary glass. That filter will show signs of scratches and mars should it be abused. Next all of my lenses have at least a UV0 filter on all the time for protection & a cir-pol filter.The 18-55,55-200 & 50 all take the same size(52mm)so I have a lot of differant styles that I have no clue as to what they do.the 35-135 &70-300 are the same(62mm) & a 18-135 is a 67mm. Mostly all are hoya & I also use lens hoods for all But still wound up busting a 18-135 lens after it rolled off the table landing on the sidewalk. Add your vote to the poll. After having a filter on my lens saved me from having my expensive Canon lens broken on a trip to Tokyo, I've been an even bigger fan of filters... My lens would have been a goner... the filter took all the impact, and saved the lens. Insurance is great, but takes a long time to replace equipment, and deductibles are large. Could anyone say anything about whether and how to use filters when one doesn't have a Digital SLR but uses a pretty decent point and shoot (Canon 5S IS) camera? I think it involves getting an extender, but then I don't know how I'd know which filter to buy (other than the set that Canon sells). Thanks. I always keep a Hoya UV on the end of my lense but take it off to shoot. If I put the Polariser on top of the UV I get vignetting anyway. The filters I have are UV, CPL and ND3. I'm still saving for a decent ND Grad. this is definitely something that a lot of shooters don't think about but affects their work greatly. i'm glad someone finally brought it up and made a good, concise argument. I've had the same experience as Marla's husband: whilst out of the country my camera fell onto a carpeted floor and broke the b+w uv filter. Can't be sure of course that the lens would have been damaged otherwise but I wouldn't want to take the risk. An issue not mentioned in the article is the use of colored filters for b&w photography. The sensor has areas (actually micro filters) that are sensitive to reds, greens, and blues), and the electronics interpolates the missing pixels to create the full image. If you add a red filter you are removing up to 75% of the image data for the electronics to work with, turning a 12MB sensor into a 3MB one. Manipulations like this are far better done on Photoshop. This is my 1st venture into responding to dps. i am new to all this.i spent what i thought was a lot of money for something i love. pictures. I bought a canon eos d40 d-slr because of advice by dps. thankyou by the way. i love my camera. although i know i am using it to its full yet, but i will get there. my point is i bought hoya uv filters as recomended by the guy in the shop. I wasnt sure if i had spent money wisely as i have very limited funds for my new found hobby. but as i was trying to take a picture using my tripod. i didnt put the camera on the "Quick release" properly. the result was i watched my camera falling towards the ground, i managed to put my foot out to try and catch it or slow it down as it hit the floor. the result was as i picked it up, it had a crack in the lens. it made me feel sick as i knew i wouldnt be able to buy a new lens. then i relised it was only the filter that was damaged. i think the Â£18 uv filter verses a Â£380 lens. i class myself a wise man for buying the filter. i understand the people who say it makes pictures poorer etc. i understand that, and maybe in the future i will experiment without it. but for now. i am happy i have them. My husband knows from first hand experience the grief a digital filter can protect you from. During a recent shoot his camera was bumped and fell to the (cement)floor. Luckily his very expensive Nikkor VR lense was undamaged but the filter on the front was shattered into many teeny tiny pieces. Well worth the minor investment for the UV lense which can be easily/inexpensively (in comparison) to replace. All our cameras have the extra lense. As a followup, if you do use a filter be sure to take it off if shooting into a light source. 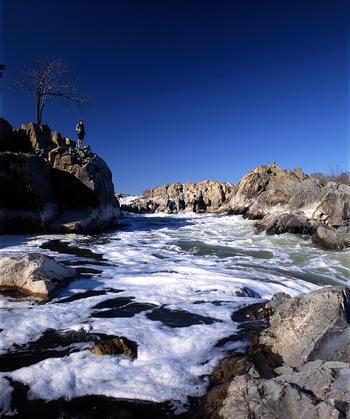 A filter increases the chance of flare and ghost reflections if shooting into the sun or point light sources. First off, THANK YOU, THANK YOU, THANK YOU for full posts in the feed. Only because there is decent content once in a while have I stayed subscribed to this RSS feed. The best advice in here is to spend the money on the best filter and treat it like you treat the glass of your lens. It is another source for distortion. I really have been happy with the Kaesemann style filters which are dust sealed. From the protection standpoint, what real protection does the filter offer? Sand and salt spray will still affect your image until you clean it off. It can still get in your lens through the zoom and focus rings and have a bigger impact on a non-weather protected body then a filter-free lens (we all struggle with sensor dust). The only real protection a filter offers is a direct impact to the front glass. The likelyhood of that happening is slim to none. In most cases the impact is going to be to the lens barrel or camera body. A better solution that provides protection AND improves image qaulity is always have the lens hood on your camera. They offer quite a bit of shock protection in a fall. Even the low-end Canon lenses that don't come with them have them available for under $40 usually. I have all Hoya Pro1 Digital filters. Hoya released Hoya HD CPL and UV filters this year which I believe a notch above the Pro1's. Hoya's R72 IR is a great one if you want to get into IR photography. B+W are more expensive and are the cream of the crop as they say for filters. Never put a cheap filter on your lens all it does it reduce the image quality of your expensive lens. The "digital" tag on filters is just marketing. Even the second cheapest Hoya uv filter is multicoated (cheapest is single coated). Afaik only noname filters have no coating. Read about people getting bird dirt on their glass ( possibly wrecked multi-coating ), one guy got spray painted, but his UV filter saved his lens ( vandalism is vandalism: "joyriding" or not ), dropped lenses, rocks flung by tires, etc. B+W is "Schneider Optics" glass, they are excellent multi-coated glass. No/few pros use Tiffen filters. The sensor doesn't block UV, the cover-glass over it does. Some are better at filtering IR/UV than others are. At the Pro Video Coalition they tested a B+W/Schneider IR or IR/UV filter on the $25-30 000 RED ONE camera, and ended up asking "why *wouldn't* I shoot with this filter in place"?, since it cut the color shifting, that resulted from the imperfect IR/UV filtering built into the camera. http://www.red.com/ for the cameras PVC was using. for the exact article in question. Insurance doesn't protect your equipment, but can result in it being replaced. You lose your lens, on safari, it's gone. Insurance may replace it afterwards, but gone is gone. How much is that opportunity going to cost you? Hoya isn't a brand anyone would equate with Schneider/B+W. Heliopan is, ( never seen tested proof they were inferior, and they are the same glass, Schott glass, as Zeiss & Schneider ). Leica, Rodenstock, etc are equal to the B+W/Schneider. Because both IR & UV can distort color rendition ( read that PVC article ), with these sensors, I'm putting IR/UV filters on all lenses from now on. Not a reason for you to, but try YOUR camera with plain glass ( cheap filter ), & a B+W IR/UV filter, and shoot a contrast+resolution target, and compare the resulting images. If the IR/UV filter changes the color of the shot, and doesn't stop visible color, then it's blocking invisible to you IR/UV that's shifting the image, and that means the coverglass filter isn't strong enough to get you the colors you see. I remember reading a review of supplementary lenses, and the difference in optical quality between the best ( Canon, though iirc there wasn't any Nikon in the set ), and the Hoya, etc, was staggering: there was no close second to the Canon ( mostly contrast, but sharpness also ). take a look in there, too. sort by Performance, and notice which brands are at the top for you camera-system, and which are at the bottom. Gels don't need multi-coating, let alone good/expensive multi-coating, but filters really do. Don't use filters! The front element is made of glass! You need a >>dimond tool<< to cut glass! Just be careful and don't use rocks, steel or other hard objects when you wipe of the lens. In most cases a blower is the best tool to clean of the lens -- then you don't even need to touch it. Only use a cloth if you happen to get a finger print on it. Use a lens hood instead and be more careful. The use of protective filters is just a scam invented by the industry to increase profits. sandy : The B+W brand is a very popular series, probably some of the best I've seen - you do pay for it though. Hoya also makes decent products although not quite the same level as B+W IMHO. Great post on filters, something largely overlooked. I shoot Nikon equipment, so I always try to put the nikon filter on the end. They usually cost about $100-$110, which hurts when you are just talking about a filter, but I never understood buying a $1500 lens and putting a $25 filter on the end of it, why not just buy a cheap lens, that is what you end up with. I have used both cheap and not so cheap filters, and they make a big difference. I have to respectfully disagree. Almost all DSLR cameras have a sensor that blocks UV light. A no-color filter is better for a protective filter, though I agree it should be multi-coated. Even so, I believe the best protection is a lens hood and an insurance rider. The rider costs substantially less and can provide protection for all your equipment. What brand filters are the better ones? I seem to buy Tiffen but wondered if others were better out there?